Many people have shared their views on who is responsible for career development. Answering the question of where the responsibility lies, is like asking who is accountable for Usain Bolt’s success. While he was the face in the public eye, there were teams of people, each with their own duties, helping him become number one. The employee needs to be passionate about the career path and have a desire to work hard towards being the best they can. Like Usain Bolt, they need to put in the hours, training to achieve their goals and pushing to get to the next level. And every employer, small or large, needs to appreciate that if they are to thrive as a company, they need to make investments to get the best out of their staff. For people working for large organisations, training and development is often defined by the HR team, who plan for staff at different levels. A grad accountant for example, may be put through the CA program or form part of a rotation program to gain on the job experience. Senior leadership may be given an opportunity to take part in career development initiatives including career coaching, mentor programs or leadership training. But for many people working for a smaller firm, these career plans are not in place and the emphasis is on the employee to ask for training and support. While most employers are likely to cover the cost of training courses and further study, ultimately, the employee needs have a plan and know what they are aiming for. The long-term responsibility lies with the employee. You need to have a clear idea of what your career aspirations are and how you plan to get there. You should set goals and milestones that you can scratch off once completed. Ask your manager for regular one on ones, to discuss what you’d like to do, what support you need and to update them on your progress. 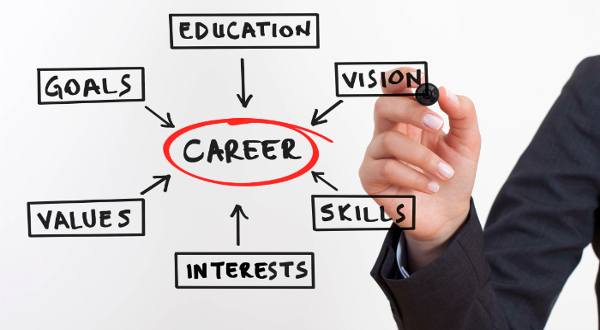 Career development is not all about training courses and further study though. Both the employee and the manager need to be thinking about opportunities to gain practical experience. The managers should be thinking about what else they can give the employee to do, where can they be seconded to and what the next step on the ladder is. For people working with larger firms, you should be looking for openings as and when they become available, whether it be a sideways move or a promotion, you need to let your manager know that you’d like to express your interest and be considered for the role.